Maine has a unique history of public access to private land. Over the past 200 years, landowners, residents, and visitors have forged a tradition of neighborliness and shared access that you won't find anywhere else in the nation. Whether you're a landowner looking for information on your rights and liabilities, a sportsman new to Maine and its unique landowner laws, or a Mainer who cares about preserving access to the wild outdoors, we're here to help. Explore the resources below, or contact us any time. Maine law provides private landowners with rights and protections that make it easier to say yes to sportsmen and women who ask to use your land. Learn more here. Before you venture onto privately owned property, there are some things you should know. To ensure you tread lightly and respectfully on someone else's land, follow these guidelines. 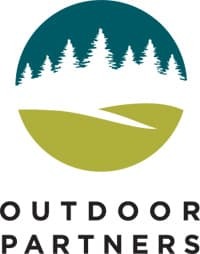 Whether you're an owner, a user, or simply a supporter of outdoor recreation, you can help strengthen Maine's landowner-user relations through the Outdoor Partners Program and/or Keep Maine Clean.